The term tunnel motors was a nickname describing the SD45T-2 and later SD40T-2 built during a nearly ten-year period starting in the early 1970s. 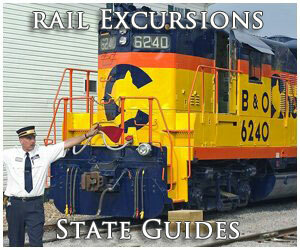 The idea began as a test by Electro-Motive and Southern Pacific to solve an overheating issue. 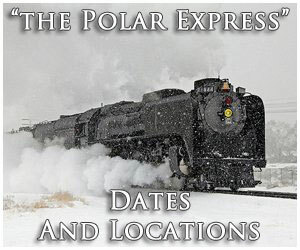 Engineers from both companies tried several different ideas to reduce, and hopefully eliminate locomotives from overheating inside the long tunnels and snowsheds found along the Southern Pacific's main line in the Sierra Nevada Mountains of California and Nevada. Ultimately, they determined that by merely moving the air-intakes near the bottom of the carbody to draw in cooler air would solve th eissue and the idea proved successful. 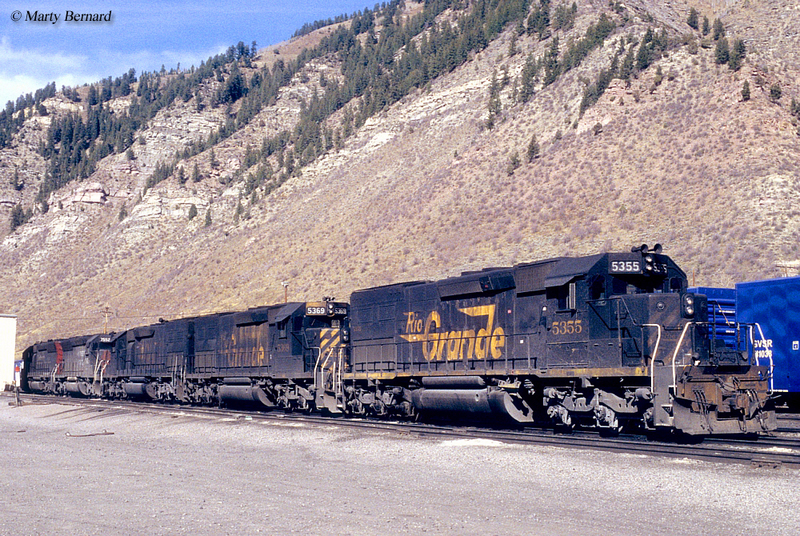 Later, Rio Grande used the same concept on a large order of SD40T-2s, which was also purchased by SP. 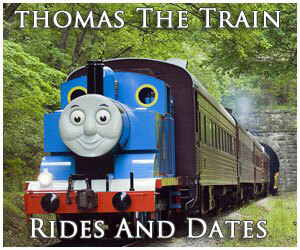 Today, many of these units remain in service on various shortlines and regionals. By the early 1960s Southern Pacific was experiencing a growing problem it had once solved concerning operations within its many tunnels and snowsheds located along its main line in the Sierra Nevadas. During the steam era the railroad was able to correct an asphyxiation issue through the development of its unique Cab Forwards whereby the cab was placed at the front of the locomotive. However, in the diesel age the problem was not breathing difficulties for crewmen but overheating of the locomotive itself. With delays and operations being affected this headache needed to be solved so the SP began working with Electro-Motive to come up with a solution. The builder took its SD45 model, a 20-cylinder monster first released in 1965 capable of producing 3,600 horsepower and utilizing the new model 645E3 prime mover, and began testing various ideas to correct the problem. Engineers tried many different ideas but ultimately came up with a simple but ingenious solution; taking a tunnel's cool air into account found low near the tracks they moved the air-intake grills lower on the carbody and shifted the radiators high on the hood. 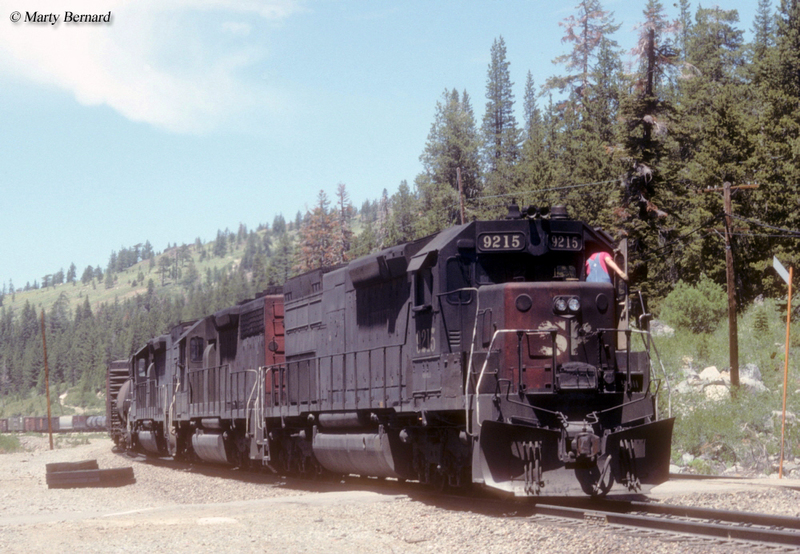 In 1972 EMD released the SD45-2, which featured upgraded "Dash 2" components such as improved electronics and high traction trucks. A variant of the new model was the SD45T-2, with the "T" denoting its design tunnel use. 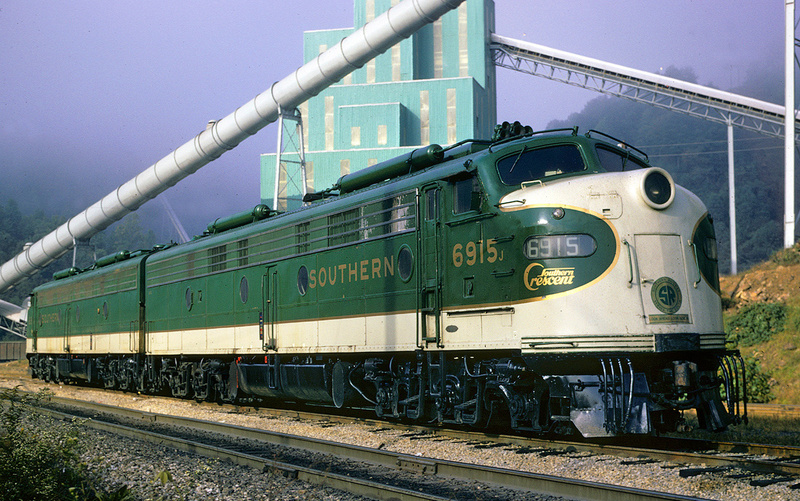 Built from February of that year through June of 1975, the Southern Pacific was the only buyer acquiring a healthy 247 examples that worked very well in solving its overheating problems. The success of this model even saw it covered in the magazine Trains during the September, 1972 issue. 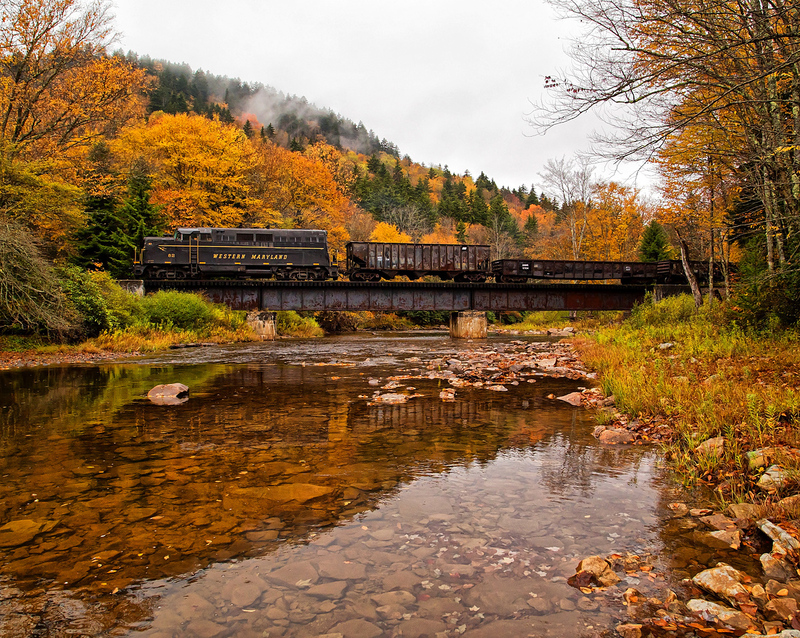 Legendary railroad photography Richard Steinheimer did a four-page feature on the SD45T-2, mostly via photos showing up-close views of the locomotive, its differences from standard models, and the latest "Dash 2" design features. The success of these tunnel motors also drew interest from a nearby road, the Rio Grande that was also plagued with overheating problems via several bores along its main lines between Denver and Salt Lake City. 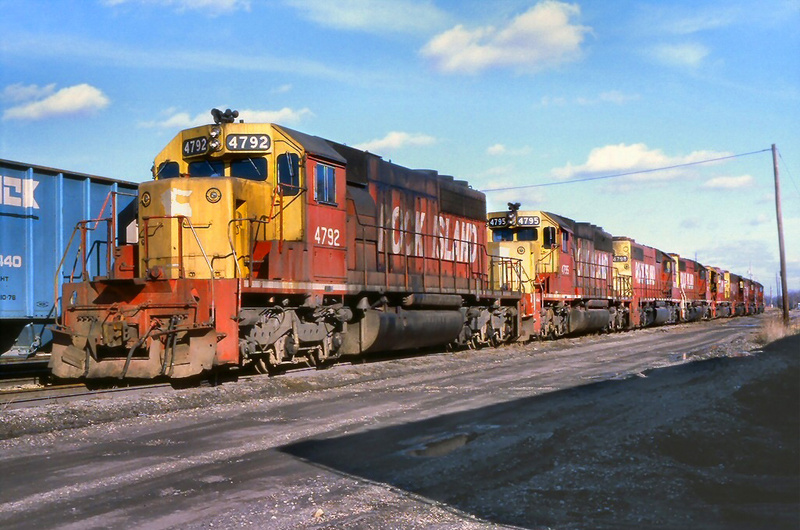 During 1972 EMD began cataloging its "Dash 2" variant of the SD40, the SD40-2. This model was the top locomotive of that decade, continuing through the mid-1980s selling nearly 4,000 units during that time. In 1974 the D&RGW approached Electro-Motive asking for something similar to the SD45T-2 but as an SD40-2. Applying the same setup EMD released the SD40T-2 in 1974, which closely resembled its cousin in outward appearances except that the '45T-2 sported a longer frame and extra radiator door. Under the hood, however, things were somewhat different. 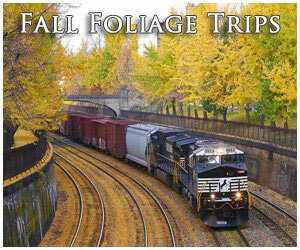 While both used EMD's model 645E3 prime mover the SD40T-2's used only 16 cylinders and featured 3,000 horsepower. The Rio Grande went on to purchase 73 "T-2s," as they were also known, rostering them as 5341-5413. Once again, Southern Pacific became the largest buyer acquiring 229 units as well as 10 more lettered for subsidiary St. Louis Southwestern Railway (Cotton Belt). The reliability of both designs, in particular the SD40T-2, saw tunnel motors operate for many years and in the process became a railfan favorite. 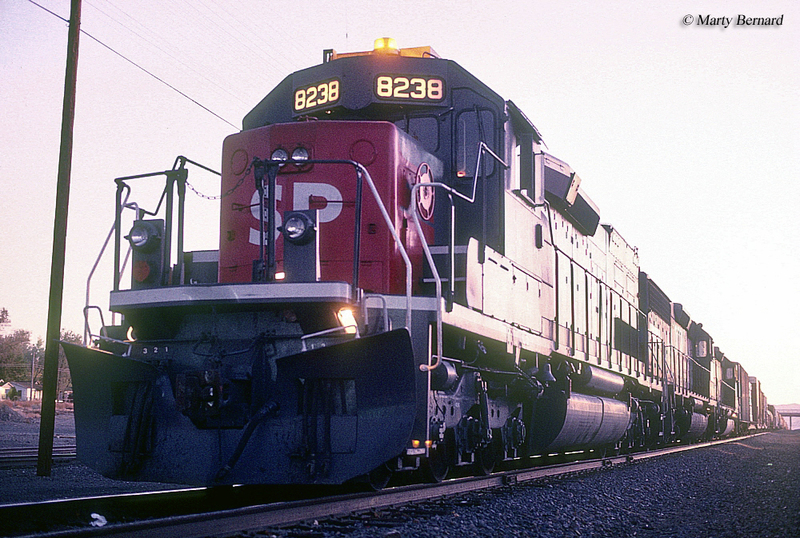 Both examples of the T-2 logged millions of miles on their respective systems, carrying through to new owner Union Pacific when it acquired the SP in 1996 (the Rio Grande had disappeared into the Espee in 1988). As UP purchased new power in the 2000s it slowly replaced its fleet of tunnel motors and today none remain on its roster. However, many are still in service on other roads, notably Class I Kansas City Southern which purchased several and rebuilt them as SD40-3s although some still carry their original T-2 design characteristics. Other places to find tunnel motors, either overhauled or otherwise include the Wheeling & Lake Erie, RJ Corman, Respondek, Susquehanna, various leasing companies, Buffalo & Pittsburgh, Alabama & Tennessee River, and Fort Worth & Western.